The shortlist for the 2018 Readings Young Adult Prize has been announced. Untidy Towns (Kate O’Donnell, UQP). The winner will be announced in late July and will receive $3000. Chair of judges and Readings marketing manager Nina Kenwood said the novels in the shortlist range ‘from romantic comedy to post-apocalyptic plague, and inspire everything from creeping horror to sheer joy’. The shortlist was selected by a judging panel comprising Kenwood and three children’s booksellers: Mike Shuttleworth (Readings Hawthorn), Georgia Delaney (Readings Kids) and Athina Clarke (Readings Malvern). Author Melissa Keil will join the judging panel to select the winner, and the Readings Teen Advisory board will also be consulted. 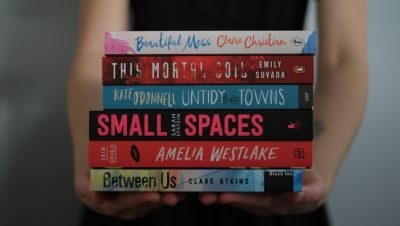 The Readings YA Prize is open to authors with a debut or second YA novel, and was launched last year, making it the third award its kind to be administered by the Melbourne bookseller. Readings also administers the Readings Children’s Book Prize and Readings Prize for New Australian Fiction, which were both launched in 2014.